As a school, we recognise the value of homework and the positive effect it has on learning and building student resilience. We have chosen Show My Homework as our online homework host. By logging in with their username and password. This will provide them with a personalised calendar showing only their homework. Students will receive their username and password from their form tutor or by viewing the whole-school homework calendar and filtering by subject or teacher. This does not require a log-in. Students can also download a Show My Homework app for their mobile phone/tablet (from the Apple App Store or Google Play) that can alert them when homework has been set. Obviously, we also encourage parents to use the website so that they can monitor the range of homework that their son/daughter has been set. To access the Show My Homework Parent Guide click here. Our aim is to set homework which is purposeful and closely linked to the learning students complete in class. This means that the majority of homework will link to, and involve some preparation towards, a future lesson. This could include revision and preparation for an assessed piece of work. At Key Stage 3, English, Maths and Science will set at least 5 pieces of homework each half term; all other subjects will set at least one piece of homework a fortnight. Each piece of homework should take approximately 30 minutes to complete. At Key Stage 4, all GCSE subjects will set one piece of homework per week. This should take around 1 hour to complete. House points will be awarded for good and exceptional pieces of homework. However, on the occasion that homework is not completed or handed in on the due date, a 30 minute detention will be issued. 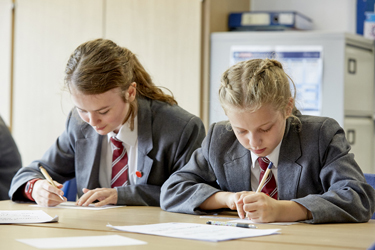 If you wish to discuss our homework policy further, or would like to ask a question about homework, please contact Mr G. Hillyard, Assistant Headteacher (g.hillyard@oakwoodacademy.org.uk).